Being one of the reliable Manufacturers, Exporters and Suppliers in India, the company offers the best quality Lateral Mass Screws to the clients. We manufacture these Lateral Mass Screws using titanium grade 5 material using innovative designing tools and machines. Specially designed as per the set standards, the Lateral Mass Screws available with us are easy to fit and are surely the right choice to rely upon. 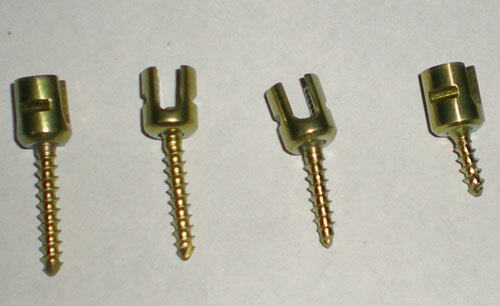 We provide these Lateral Mass Screws in different sizes and specifications, suiting varied requirements.